Audi has released photos of its 2017 R8 model, which will have a flurry of new features Audi hopes will blow consumers away. The style of the car won’t stray from previous vehicles released by Audi, but the car company believes the other features will take the R8 to another level when it ultimately hits the road. Among the changes to the new model include the use of aluminum and carbon fiber that will make the R8 110 pounds lighter than past versions. Under the hood of the Audi R8, consumers will have a choice between two 5.2-liter V10 engines. The standard engine delivers 540 horsepower, while the “V10 Plus” turbo engine goes a step further with 610 horsepower, which will allow the car to go 0 to 62 mph in just 3.2 seconds. Both engines can get the speed of the R8 to 200 miles, with the Plus model able to go slightly faster. 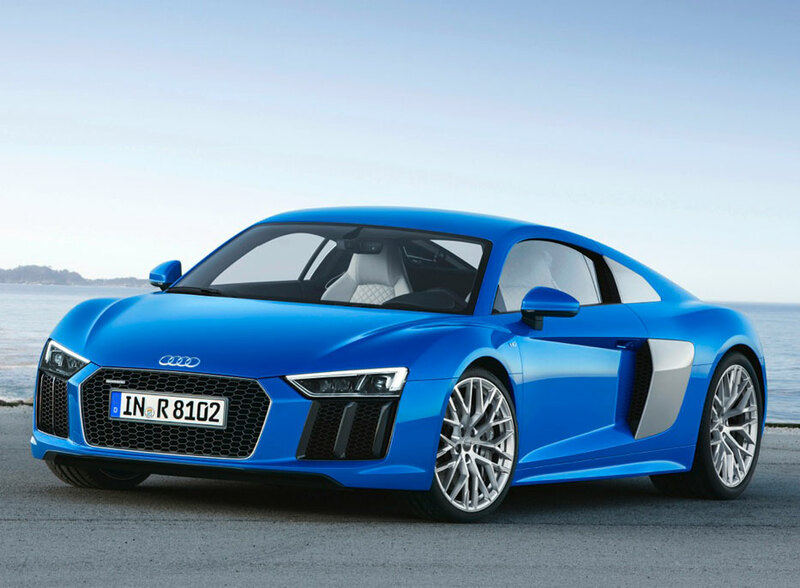 Accompanying the engines in the R8 will be a 7-speed dual-clutch transmission and all-wheel drive. Due to direct injection and cylinder-on-demand technology, the 2017 R8 is expected to improve fuel efficiency by roughly 10% from the current R8 model. Audi will also be offering an electric version of the R8, which will have a 92 kWh batter pack and a range of 140 to 280 miles. The decision by Audi to move to a turbocharged engine will help keep it in line with the other sports cars of today and the future. The turbo technology will prevent the R8 from any power delays, while fuel economy is also a factor in Audi implementing a turbocharged engine. The 2016 model of the R8 will soon be released in Europe. Unfortunately, excited American customers will have to wait until next year for the 2017 Audi R8 to become available in the U.S.